Dr. Haque: Tamoxifen is a commonly prescribed generic drug taken by women with breast cancer to reduce their chances of developing a recurrence. Tamoxifen is recommended for five years, but has notable side effects, including hot flashes, night sweats and depression. Since hormone replacement therapy is not recommended to alleviate these symptoms in breast-cancer survivors, antidepressants have been increasingly prescribed for relief. Almost half of the 2.4 million breast-cancer survivors in the U.S. take antidepressants. However, previous studies have suggested that antidepressants reduce tamoxifen’s effectiveness in lowering subsequent breast-cancer risk. This study was conducted to determine whether taking tamoxifen and antidepressants (in particular, paroxetine) concomitantly is associated with an increased risk of recurrence or contralateral breast cancer. Dr. Haque: Our study examined detailed pharmacy data and the results are reassuring for breast cancer survivors who benefit from their antidepressants. Our data does not suggest statistically significantly increased risk of subsequent breast cancer in women who concurrently used tamoxifen and antidepressants, including paroxetine. Given that thousands of breast-cancer survivors struggle with depression, sleep disturbance, and other side effects while on tamoxifen, our study should help alleviate any concerns physicians have about prescribing antidepressants to their breast-cancer patients to help improve their quality of life. 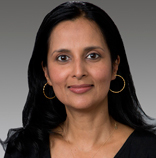 Dr. Haque: Although we accounted for other types of drugs that could interfere with tamoxifen’s effectiveness, future larger studies should determine if using tamoxifen with other common medications impacts recurrence risk. Examples of such drugs include antihypertensives, anti-inflammatories, antipsychotics and pain medications. This entry was posted in Author Interviews, Breast Cancer, Depression, JNCI, Kaiser Permanente and tagged breast cancer, depression by Marie Benz MD FAAD. Bookmark the permalink.